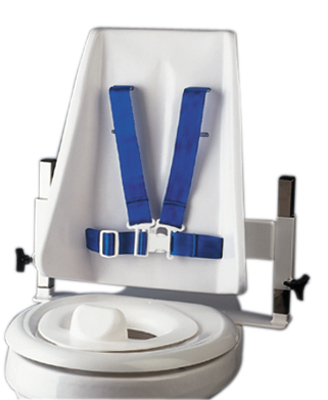 Articulating bath chair with safety harness, large to 180 lb. Articulating bath chair with safety harness, medium to 130 lb. Articulating bath chair with safety harness, small to 100 lb. Plastic handle with foam sponges have heavy duty plastic handles 22-1/2" long. There is a hole in the end for hanging. 5" round sponge is attaches to long handle. Swiveling Back Scrubber Replacement Sponge, Bag of 2.